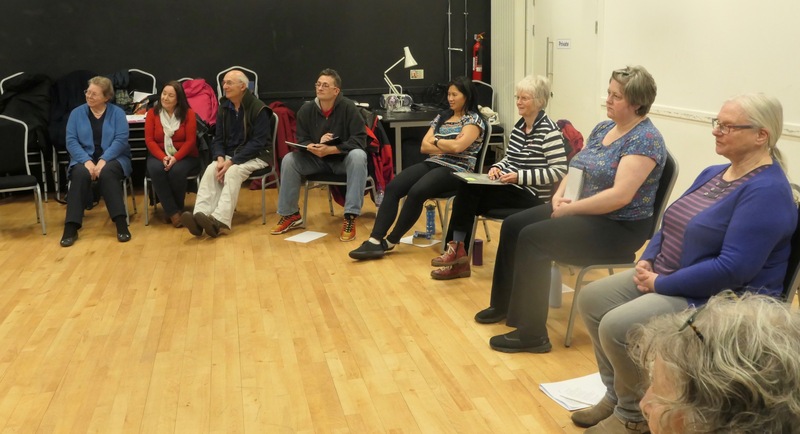 On Saturday 2nd March 2019 at the Theatre Royal Studio in Dumfries, voice coach, actor and director Jacquie Crago ran 'Finding Your Voice', a day-long workshop aimed at local writers and others looking to improve their live reading and performance skills. By all accounts the workshop, sponsored by Wigtown Festival Company and organised by our Literature Ambassador Vivien Jones, was a huge success. Below is Vivien's report on the day. Diversity is a two-headed creature. 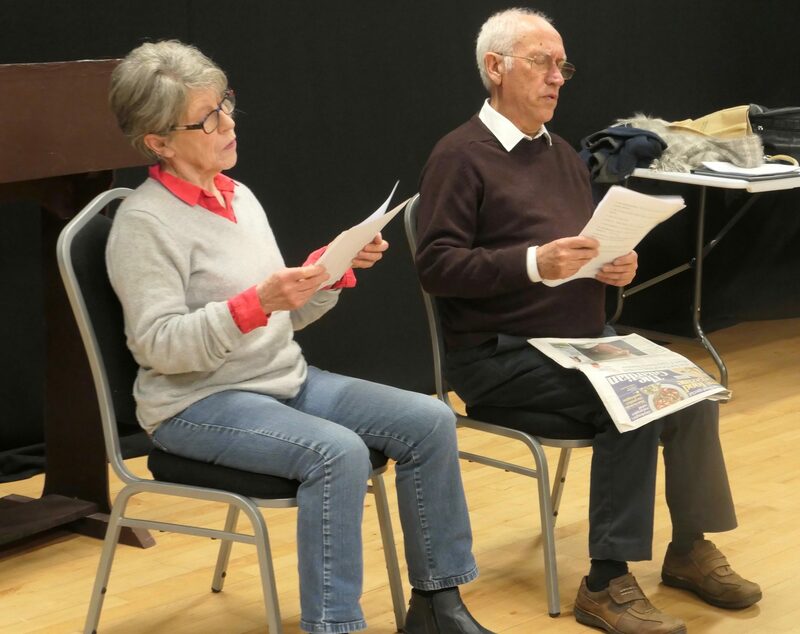 The group that assembled in the Studio at the Theatre Royal, Dumfries, included a folk singer, two business executives, writers of poetry, memoir, short stories and crime, several playwrights and at least one aspiring writer yet to make their first work. Some knew each other, most did not. To have melded this group into a coherent whole so quickly is the mark of an experienced tutor. Our first process was to understand the mechanics of voice production, from the skeleton to the body cavities that enhance resonance and to consider the importance of breathing. Using humour, anecdotal material from her many years in the theatre, gentle physical exercise and focussed comment, Jacquie quickly identified those who needed extra support and those who could cope with (and welcome) sharp comment. Such engagement showed on the faces of participants - no one left early, no one failed to return after the lunch break. When it came to the point of participants reading their own work, Jacquie made some finely tuned adjustments. By this time she had generated such trust in her supportive intentions that every writer responded well to her comments. There were thirteen paying participants - plus David Sumner, who came to give a short reading with Jacquie by way of demonstration of good voice work. I provided a short sketch for the purpose which was used as a base for discussion at the end of the workshop. Saturday was an amazing day. When I first looked at the list of participants I wondered how such a diverse group could work together within 4 hours of workshop time. Jacquie Crago was well up to the task. I do hope that we can continue offering such very particular workshops to the writers of the region.